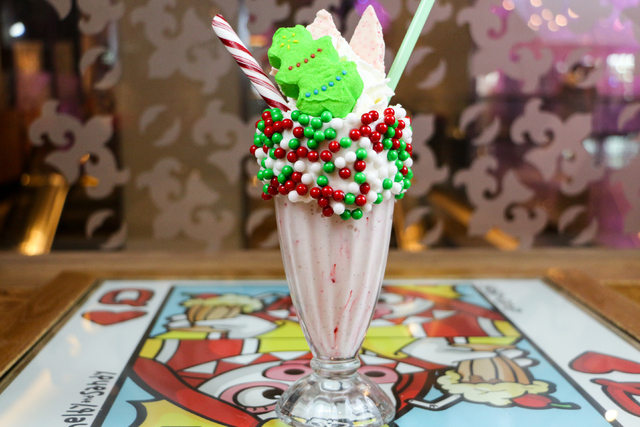 The Candy Cane Eggnog Shake at LVB Burgers & Bar and the Peppermint Stick at Vintner Grill are a couple of the items On the Menu this week. 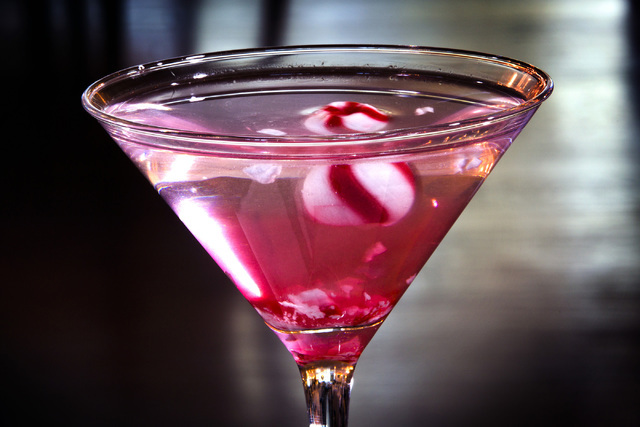 Vanilla ice cream is blended with eggnog and peppermint candies and topped with whipped cream, $8. 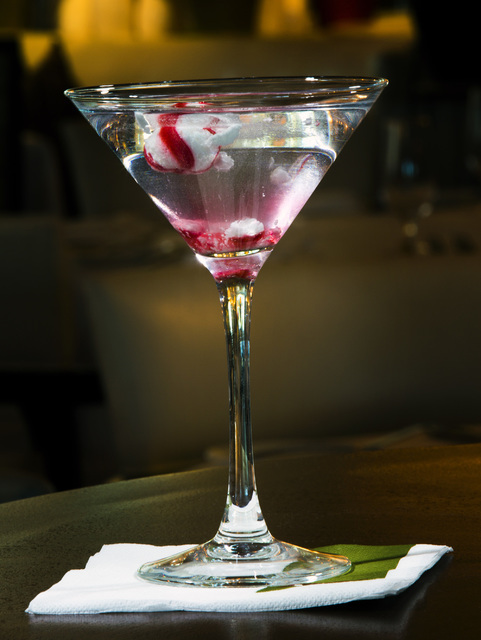 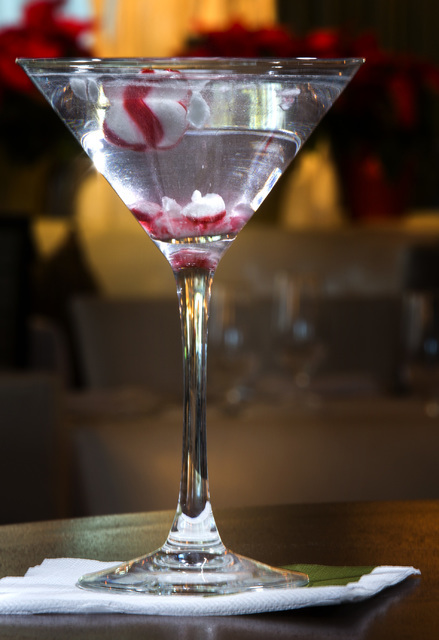 This festive cocktail is a blend of white creme de cacao, peppermint schnapps and cream, garnished with crushed peppermint candy, $8. 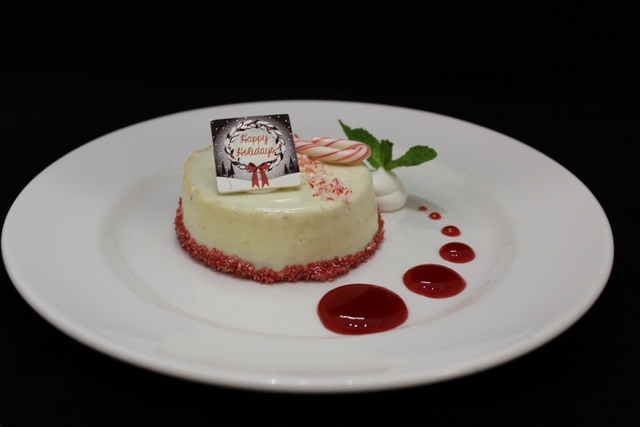 Individual New York-style cheesecakes flavored with crushed candy canes and raspberry sauce will be served on Christmas Eve and Christmas as part of prix-fixe menus, $16.99. 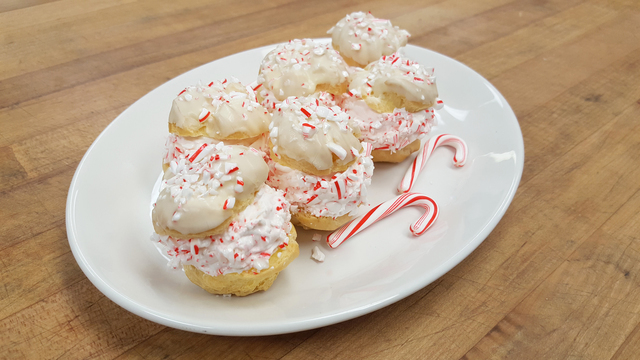 Crispy house-baked choux pastry puffs are filled with whipped cream flavored with crushed peppermint candy, on the buffet Christmas Eve and Christmas, $28.50 for brunch, $33.50 for dinner. 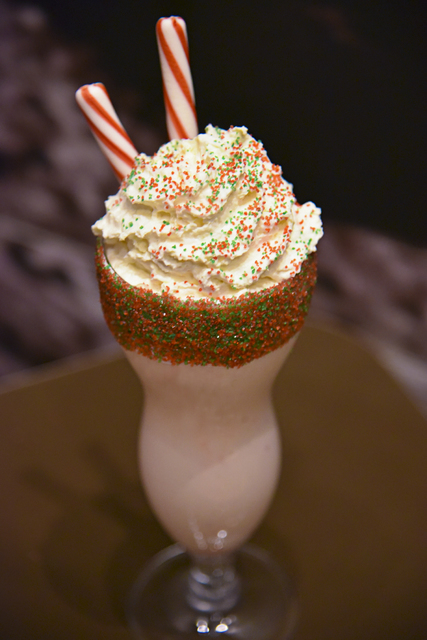 Vanilla ice cream blended with peppermint schnapps and crushed candy canes is topped with peppermint glaze, vanilla frosting and whipped cream, $15.